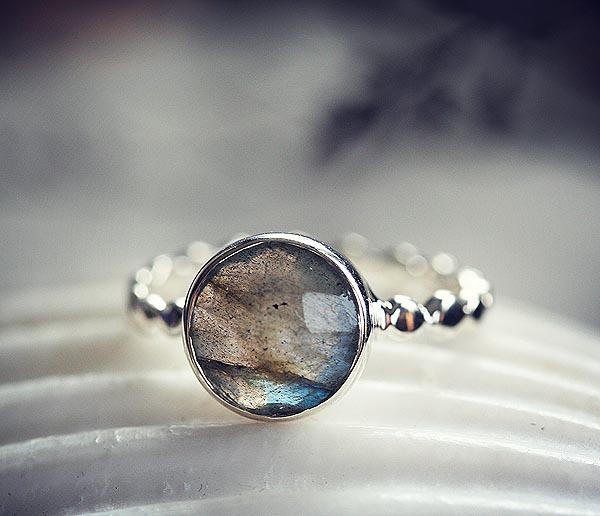 This gorgeous finger ring has been curated for our collection so it is already made and ready to ship. 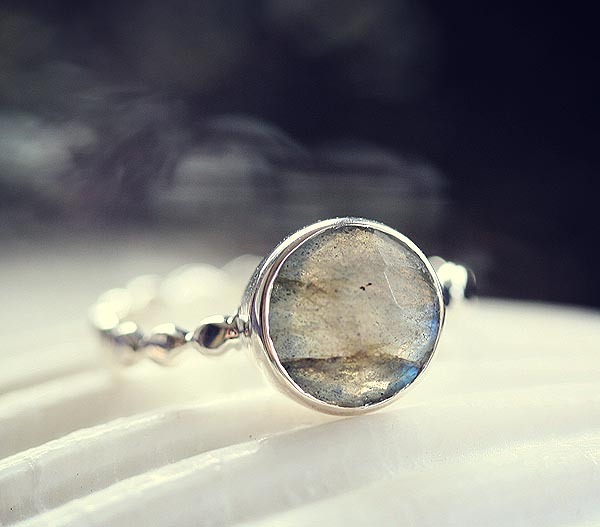 It features a sterling silver hammered thin band with an 8mm faceted piece of labradorite surrounded in smooth sterling silver. 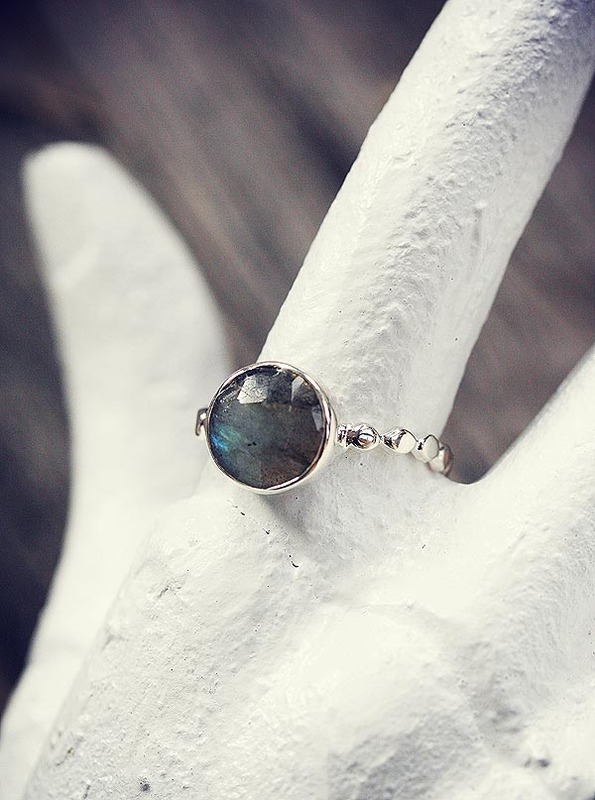 It is only offered in a size 7.5. 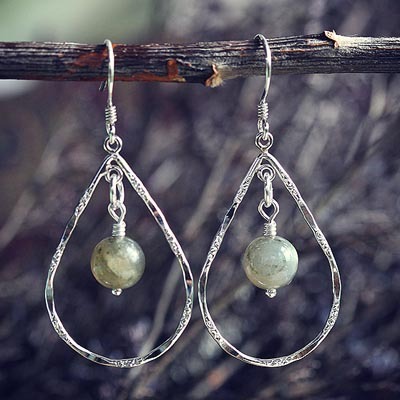 Metal is solid sterling silver, gems is natural labradorite.